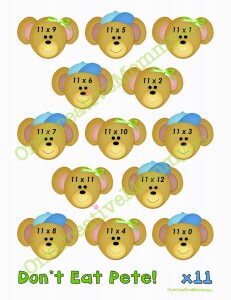 Day 11 of the 12 Days of Christmas! Today, I’m excited to introduce Rachael, from Determined Darling. Rachael always has great gluten-free recipes to share, and I’m so happy to have her here on OneCreativeMommy.com! I’m Rachael from Determined Darling, saving the earth one veggie at a time! I strive to live a life that is healthy, green, and fun! Most of the time you’ll find me in my kitchen cooking yummy gluten-free, vegan recipes with fresh, organic, local ingredients. If I’m not there then you’ll find me outside running, in my garden, thrifting, or curled up on my couch with my pup and Mr. Darling. I am determined to prove that cooking fresh, vegan, gluten-free food can be fun, delicious and good for the earth! I am so grateful to be part of OneCreativeMommy.com’s 12 Days of Christmas along with all the other darling bloggers that have joined this fun event. I am extra excited to be part of Gluten Free Monday one of my favorite link parties! 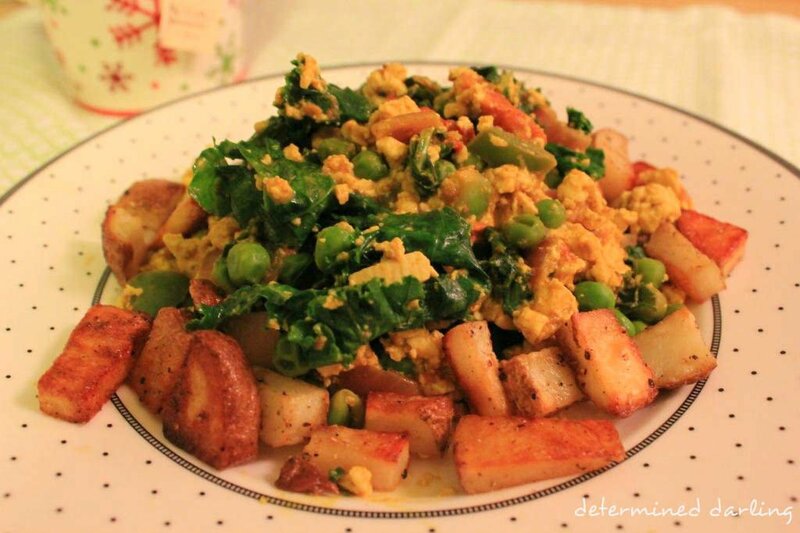 Today I am sharing my Christmas Vegan Scramble. One of my favorite things about Christmas is having Christmas breakfast with my Dad. It’s a tradition I still cherish today. 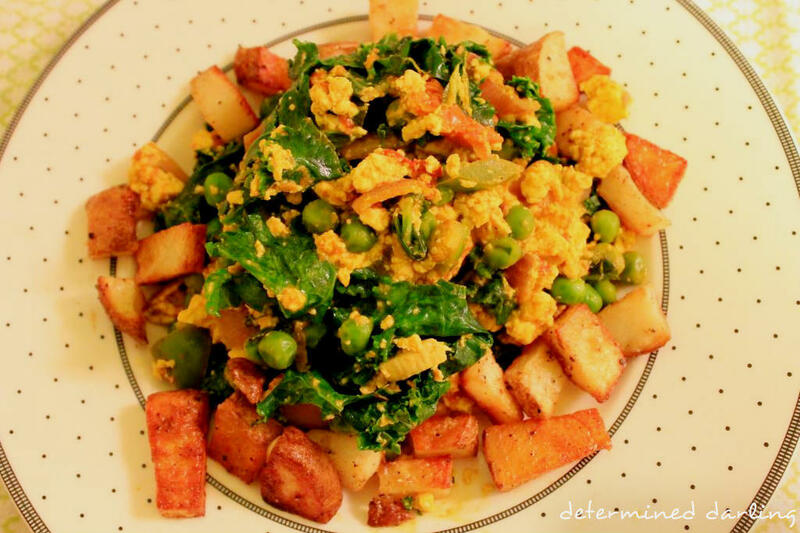 This year I thought I would whip up a yummy vegan tofu scramble. Perfectly seasoned tofu with lots of veggies makes the perfect Christmas breakfast and gives you energy for a long Christmas day. Stir until tofu is coated with spice mixture. Set aside. Please come over to Determined Darling to find more delicious gluten-free vegan recipes, you can also check me out on pinterest and facebook. I’ll be sharing my homemade roasted tomatoes later this week! Don’t forget to follow my blog (through Google friend on my blog’s sidebar) for a chance to win OneCreativeMommy.com’s awesome 12 Days of Christmas GIVEAWAY prizes. Wishing you a delicious and merry holiday season!! Thanks for the great recipe, Rachael. I have never tried tofu. You might just tempt me out of my comfort zone! To my readers, when you stop by Rachel’s site, be sure to check out her veggie-style Mexican chili. I wish I had a bowl right now! Ready for Gluten Free Monday? Before you link up, here’s the latest download of Don’t Eat Pete and the giveaway link. Sorry. This download has expired. If you haven’t downloaded my Don’t Eat Pete pages, please hurry! The download links will disappear after Christmas! If you already entered, there are seven more chances for you to win today! 1. Eggnog (Soy, Fish, Wheat and Nut-Free, Can Be Milk-Free and Diabetic Friendly). This is my hubby’s fave holiday treat. This week I’ve shared a Middle Eastern inspired cocktail I developed the other night with a friend. It’s got orange blossom perfumes and is absolutely dangerously delicious. Thank you for hosting! I’ve shared my no cook, SF Freezer Applesauce recipe! Have a great week! So how much of the peas do we add? I’m sorry, Justin. This was a guest post from a few years ago. It looks like she left the peas off of the ingredients list. You may just have to guess from looking at the picture. Sorry.